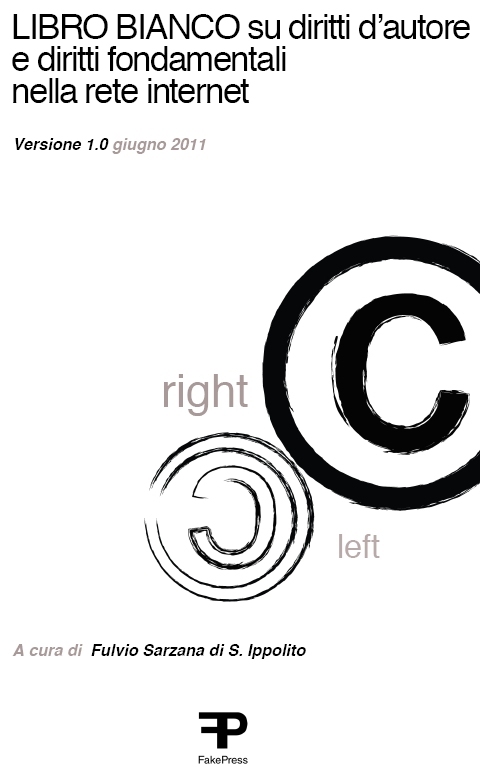 Italian way to copyright. On the Road to Constitutional Court, President of AGCOM said ” Mr Sarzana won’t be able to drag me personally in Court”. On 26 September 2014, The Italian regional administrative tribunal referred the question regarding the constitutionality of the administrative enforcement procedures foreseen by a new regulation on online copyright infringement to the Italian Constitutional Court. Consumer’s and small business associations ( Altroconsumo, Movimento di difesa del Cittadino, Assoprovider and Assintel) filed action against this Regulation for violation of civil rights ( freedom of expression and economic initiative) , protected by the Italian Constitution, before the Regional Administrative Court of Lazio. AGCOM’s ( Italian Telecommunications Authority) President Mr Cardani , said, at the end of october, during a Conference ” Mr. Sarzana, ( The Lawyer www.lidis.it/eng leader of the civil rights groups that have been awarded to discuss the case before the Constitutional Court) not be able to drag me personally in court”. https://www.youtube.com/watch?v=qJTOR4tyEy8#t=1025 ( Minute n. 17 of video). In accordance with the actions brought by consumer’s associations against the Regulation, the Regional Administrative Court of Lazio required the Constitutional Court to issued its judgment, since it held that the regulation might be unconstitutional, for violation of the principles of statute and judicial protection in relation to the exercise of freedom of expression and economic initiative, as well as for the violation of criteria of reasonableness and proportionality in the exercise of legislative discretion and of the principle of the court, in relation to the lack of guarantees and legal safeguards for the exercise of freedom of expression on the Internet. Therefore, in October 2014, the President of Agcom, Mr. Angelo Cardani, indicated that Agcom shall proceed “with caution” , addressing only cases “of real urgency”, pending the case in the Constitutional Court. The Constitutional Court will issue a verdict in the coming months.